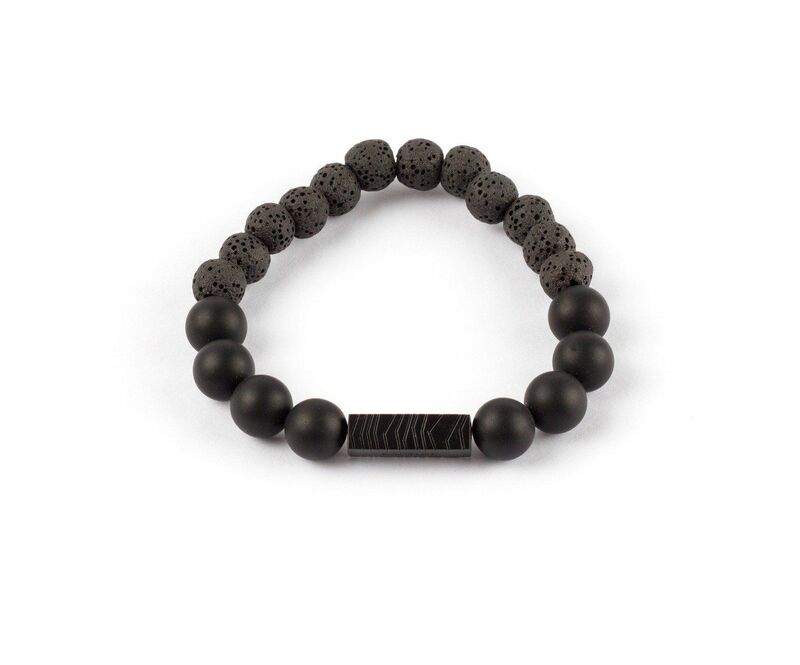 A fashionable black bracelet made of gray lava and black stone, embellished with a piece of black metal to add a unique touch of elegance. - Made of gray lava and black stone. - Adds up a modern touch.